MinkaAire WCS213 Ceiling Fan Wall Control - This stylish remote coordinates well with Brushed Nickel, Polished Chrome, Oil Rubbed Bronze, Antique Brass, Flat Black and Polished Brass finishes. 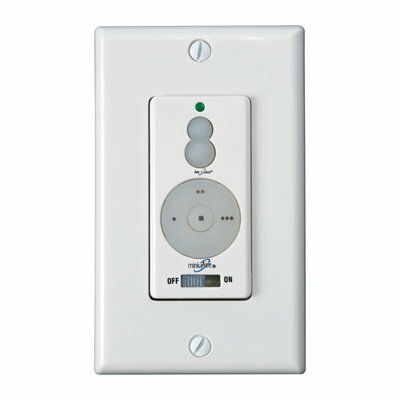 The remote has three speed fan control with on/off capabilities and a full range dimmer. This remote requires a receiver and must be hardwired to control the fan. The receiver is not included.